While the future and composition of the philosophy of religion is being challenged by several authors, I’ll wager that few are daring to teach its topics differently in their 100-level courses. For Labor Day weekend (2017), I was at Drake University for a meeting of the seminar on the Global Critical Philosophy of Religion. Where mainstream philosophers of religion mostly concern themselves with topics culled from Abrahamic religions, a primary objective is to create teaching resources based on a wider range of topics for reason-giving about religion. Among the proposed outcomes are a syllabus and a textbook to promote this approach to doing the philosophy of religion. My new colleague, Oludamini Ogunnakie, made use of the zoo as a metaphor to illustrate potentially problematic aspects of our seminar. First, the zoo business is something already practiced by the world religions paradigm. The work of Chantepie de la Saussaye is difficult to surpass in its ambition, and new intellectual projects do well to critically reconsider whether to continue such work. Everyone at the seminar agreed we should not sustain the rather simplistic premise that philosophers of religion need to merely widen their existing scope of inquiry. Just because some is good, more is not better. There is a further reason that the global-critical philosophy of religion seminar should avoid getting into the zoo business. 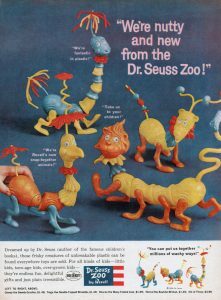 When Dr. Ogunnakie mentioned the metaphor, I immediately thought of another acquaintance, whose collection includes If I Ran the Zoo, by Dr. Seuss. Seuss documents the zoological aspirations of one Gerald McGrew. It is not my favorite book. 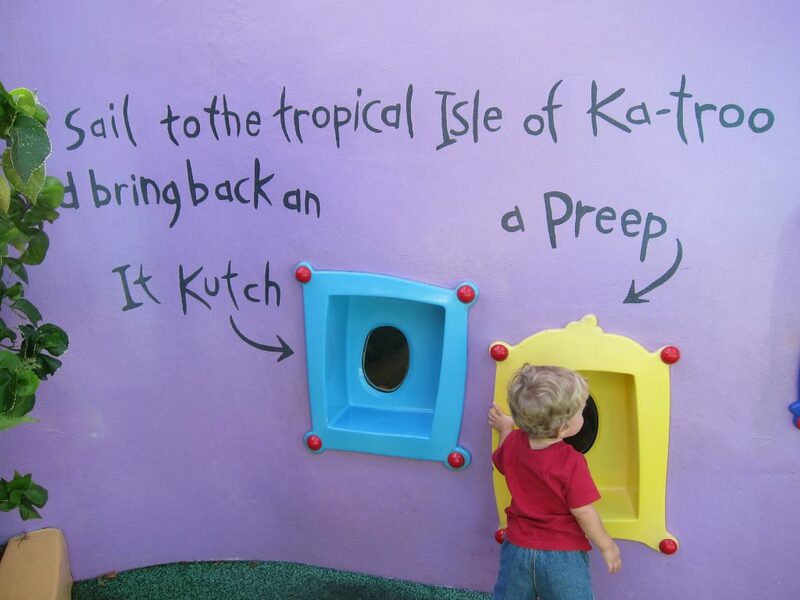 Seuss tells how young Mr. McGrew’s finds his local zoo to be boring. As a remedy, McGrew begins a counterfactual thought experiment. He proposes what sorts of exhibits he would collect to curate the McGrew Zoo. As I read it, McGrew uses all sorts of violent devices to capture and import oddities from afar. Furthermore, McGrew describes other people in ways that I can only qualify as racist and xenophobic. At no point does author of the book hint at any problems with McGrew’s actions and language. My conclusion is that this book is not one I wish children to read. If you wish to see, here is the story in full. Likewise, revising the practice and contents for the philosophy of religion should avoid the notion of making a new zoo. Such a project would perpetuate orientalism and unquestioningly practice the violence of cultural appropriation. The seminar would undermine its other objectives by accumulating some impressive number exotic things to enclose and curate. That would make for precisely the sort of textbook that I do not wish undergrads to read. There’s a sticky situation here. How can the seminar’s outcomes not appear to be in the zoo business? One major rationale for the seminar is that our field has become all-too-familiar. Not much has changed since Ralph Cudworth coined the term at Cambridge to propose the True Intellectual System of the Universe. Inquiries in the field continue to orbit around the coherence of theism. The problematic issue is that the seminar is attempting to initiate a Copernican revolution for its field without alienating itself. Almost anything will appear exotic to philosophers of religion whose discourses are, by and large, structurally and systematically limited to the topics of philosophical theology. The problem is manifested by a systemic reluctance to consider different data. Furthermore, the integration of different data can well be seen as a move to use existing methodologies to contain and domesticate such data. Philosophical methods pursue questions about comparative validity of reason-giving in order to set forth normative accounts or truths. And the seminar is propelled in part by a critical inquiry into why and how practices and systems of reason-giving have been excluded on the ground of their strangeness to Greco-Europoean intellectual history. And so whatever the seminar produces, careful attention is needed to avoid the appearances of Gerald McGrew. The objectives and outcomes should not be a new zoo. How might the seminar avoid such aspersions? Walter Mignolo’s work usefully theorizes the problem. As Mignolo argues: ‘‘There can be no others’’ inscribed a conceptualization of knowledge to a geopolitical space (Western Europe) and erased the possibility of even thinking about a conceptualization and distribution of knowledge ‘‘emanating’’ from other local histories (China, India, Islam, etc. )” (59). Mignolo notes how this creates conditions for what he calls the double-bind of border thinking (71). The risk is that either the exempli gratia and methods presented will so congruent with prevailing paradigms that their inclusion seems gratuitous, or, they will seem so strange that their validity as plausible modes of philosophizing will be cast in doubt. I may be mistaken, but therein lies one of the sticky wickets facing the seminar. The seminar meets again at the AAR’s annual meeting this fall in Boston. I will try to keep you posted!